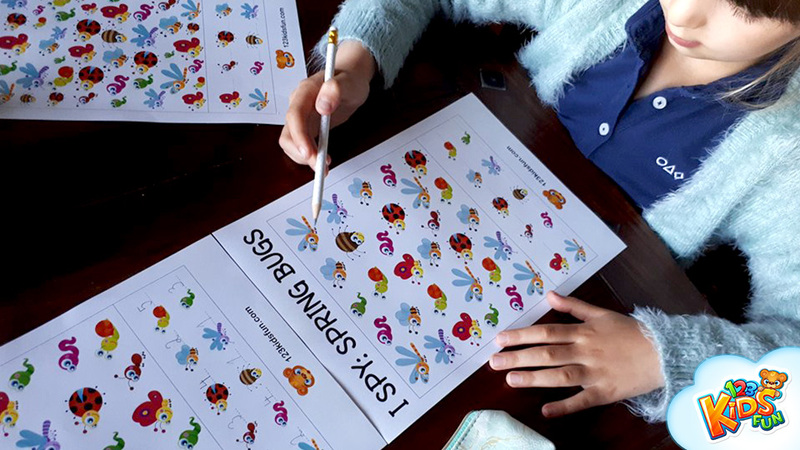 Look for springtime friends: spring cute bugs on our spring printable worksheet. Play with the child in the game I spy. Find all the ladybugs, caterpillars and bees. Try to match the pictures. Thanks to this free spring printable worksheets, kindergarten kids and preschool kids will have a lot of fun and be aware of. Have fun! ← Watch out! The crabs are coming!